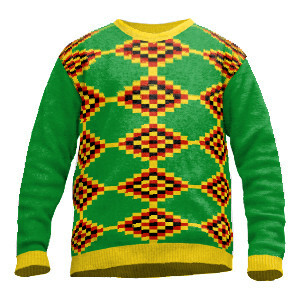 Edit design Cool runnings sweater , or create your design from scratch. Remember what your mom said? Never go bobsledding without your cool runnings knit sweater. Sliding down an ice-covered incline on a four-runner sled, with your jamaican team mates, that's what makes you happy. Enjoy yourself doing this in your custom knitted sweater, or have one made for your friends, so you can go down in team knitted sweaters. That will be great fun! Also fits perfect for the apres ski party.